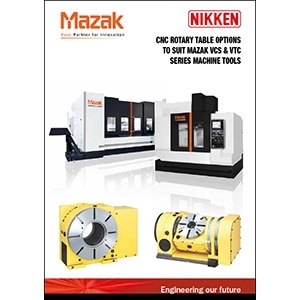 NIKKEN are pleased to release a new brochure detailing the range of NIKKEN CNC Rotary Tables to suit the Mazak VCS and VTC Series Vertical Machining Centres. The brochure is available to download below or by clicking here. For further information on Mazak Vertical Machining Centres click here.